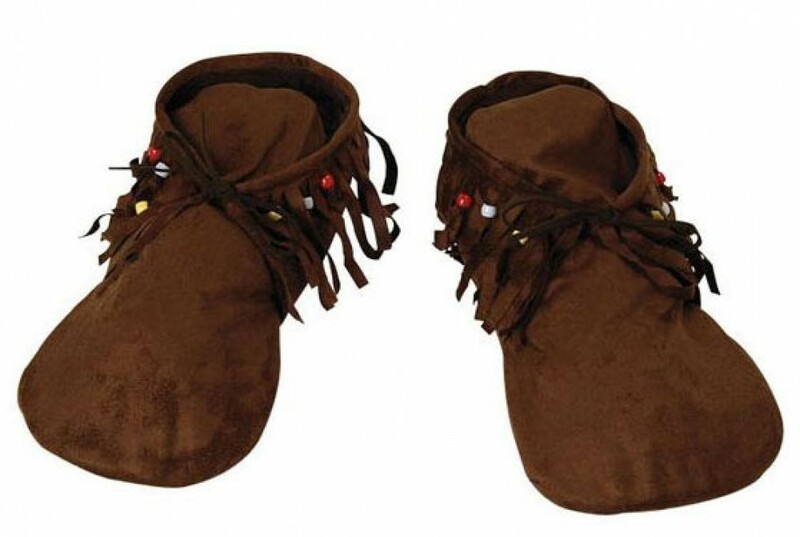 A pair of Fancy Dress Moccasin Shoes (two available sizes) – a great accessory for Indian, Hippy or any fancy dress costume! A pair of brown suede effect Moccasins fancy dress accessory. The shoes ties around the ankle and have a thin padded bottom (in a slipper style). They have a fun fringe details and bead design. They are available in size Medium (UK 6-9) and Large (UK 8-11). The design also allows for some extra sizing flexibility. 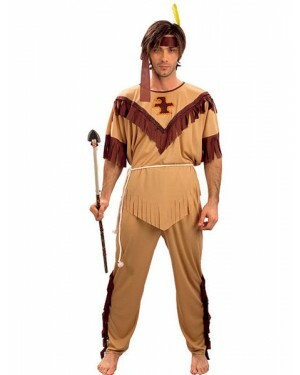 A great finishing touch for many fancy dress looks – in particular they look great with Native Indian costumes or Hippy looks! Please note, these are fancy dress shoes and are not designed to be worn day to day. As they are material they would also not be suitable for wet conditions. Once worn returns are not accepted on this item due to hygiene reasons.